Felicia Self has more than 20 years experience in the practice of pharmacy, medication management and drug use evaluation and training. She graduated from Auburn University School of Pharmacy in 1989. Experience includes clinical based consulting in the areas of appropriate medication management and prescribing, retrospective drug utilization review, formulary and pharmacy benefit management, coordinating data collection and evaluation of clinical pharmacy data, consulting with healthcare professionals on patient and disease specific drug therapies and adherence to clinical practice guidelines. 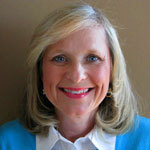 She has presented numerous in-service and continuing education seminars to clients and support staff. She has served as the designated pharmacist representative at disease management seminars to identify risk factors and interventions recommended in clinical practice guidelines and the proper use of drug therapy in treating acute and chronic diseases. Felicia has clinical and administrative experience in numerous healthcare practice settings including, hospital intensive care, long term care, correctional, pharmacy benefit management organizations, and community retail settings. She is licensed in both Florida and Alabama by the State Boards of Pharmacy and is dedicated to providing professional services using drug knowledge and clinical experience to improve patient outcomes and reduce unnecessary healthcare costs.